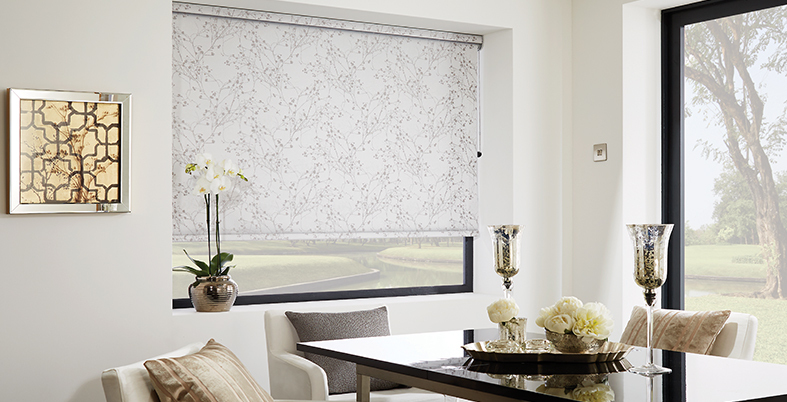 Vision Roller Blinds combine the elegant light diffusion of sheer fabric with the stylish practicality of a privacy blind. The contemporary bold horizontal stripes effortlessly move from transparancy to dim out. Vision Roller Blinds can be adjusted sensitively to provide immediate privacy or transparency, or they can be fully retracted to create a clear view outside. This revolutionary window blind provides exceptional light control in a striking selection of fabric designs with a choice of colours that will enhance any room setting. Our stunning range of Roller fabrics, including Prints - Weaves - Blackout - Dimout and PVC suited to all conditions, with styles to suit everyone. For stylish contemporary feel try our Suede and Leather. For kitchens and bathrooms we will have the fabrics to suit these conditions. For sleeping we have just the Blackout blinds for you including Blackout fabrics for childrens bedrooms. 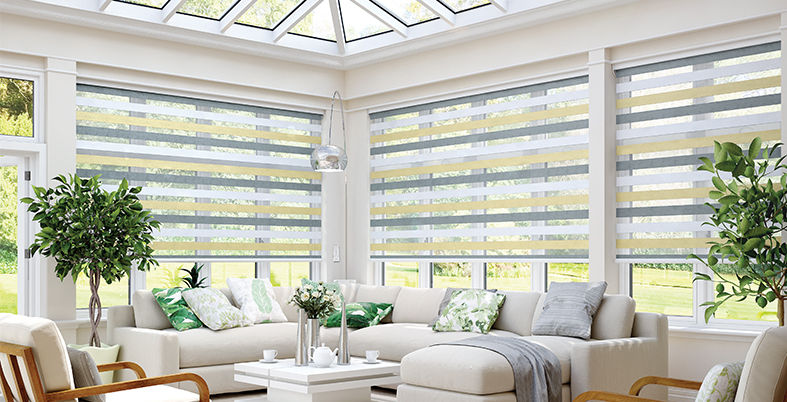 For that little bit extra, personalise your blind with shaped bottoms, and a choice of braids - pulls -eyelets and poles.